Malcolm was born and raised in Valdosta, Ga where he continues to reside with his wife Melanie who is also a member of Team Kolar. He has 2 children, Stephanie and Jason, and 4 grandchildren, Dawkins, Caden, Mollie, and Allie Kate. In the 1980s, his passion was race cars and he drove rear-engine dragsters competing in numerous NHRA competitions including the Gator Nationals in Gainesville, FL. He discovered sporting clays in 1997 when John Peek opened Southwinds Clays and Quail in Valdosta, GA. He and a shooting buddy, Robert Duff also of Valdosta, started burning up shotgun shells. With an avid practice routine and ﬁerce determination, he was able to win the Georgia State Championship in 1999 with a Browning Special Sporting. It was then that he decided he needed a gun that would last a lifetime. He purchased his Kolar in 2000 and in 2001, was able to capture the Zone 4 Championship HOA title. He has also shot (6) 100 straight rounds of registered sporting clays. He took a break from shooting for about 3 years and again went racing. First with his son, Jason again in rear-engine dragsters, then himself in a vintage series where Malcolm raced a 1929 Ford with a 650 HP Chevrolet engine! After the ﬁrst grandchild was born, the race cars were sold and he again picked up his shotgun and went back to work. Malcolm has a strong work ethic and gives whatever he does 100%. 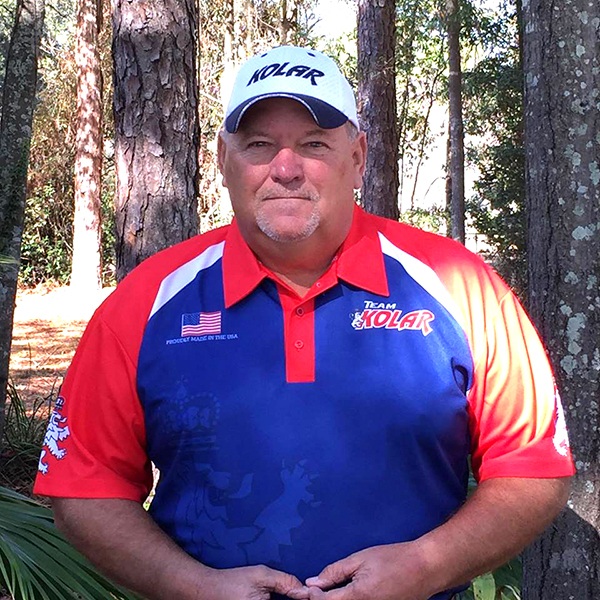 Over the last 22 years, he has won over 200 NSCA Registered tournaments and is a 13-time NSCA All American. In 2013, he was inducted into the Georgia State Sporting Clays Association Hall of Fame not only because of his accomplishments on the course but because of his efforts to build and share this sport with many. He is a life member of the NSCA and is also an NSCA certiﬁed instructor.